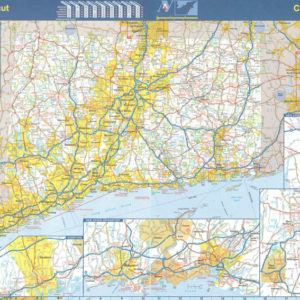 The Connecticut Wall Map Executive Commercial Edition is available paper, laminated or framed in multiple sizes from 2×3 to 4×6 feet. 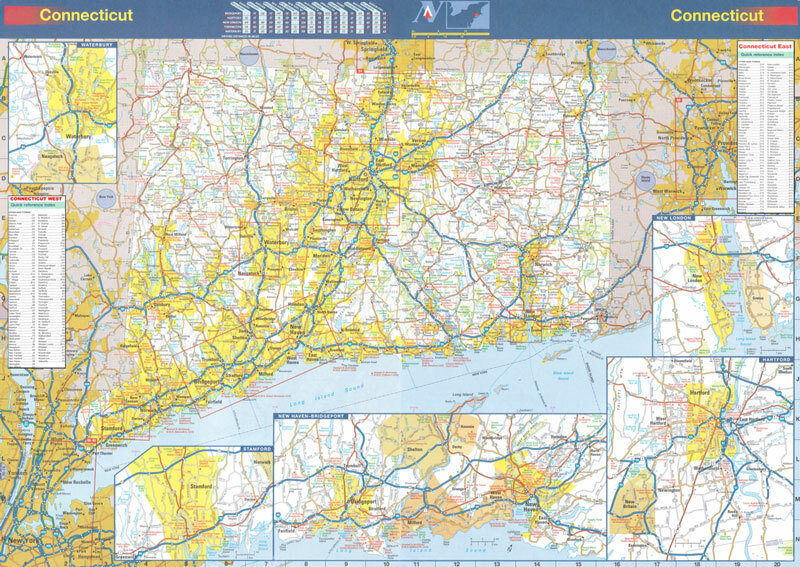 The Connecticut Wall Map shows all state/federal highways, major waterways, towns, military installations, major airports, state universities, cities, state parks, wildlife areas, points of interest, and colorcoded counties. Measures 70 by 48 inches, is lithographed in 8 colors, laminated, and indexed on the face of the map. A condensed 24×36 or 36×48 laminated wall map is also available below.